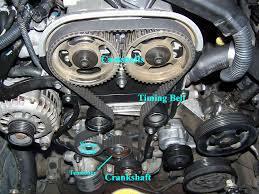 Do you know when you should have your timing belt replaced? This is a very important question, and knowing the answer can save you a bundle in car repair. You can give us a call with the year, make and model of your vehicle, and we can look up when the manufacturer recommends replacing. This is usually based on Mileage. Some are at 90k, 100k, 105, 120k. Some vehicles have what is referred to as an interference engine, if the timing belt breaks on one of these it will more than likely cause catastrophic damage. Any time a timing belt breaks, it will stop the engine from being able to run, but if it breaks within a interference engine, it will more than likely mean replacing the engine. So please, give us a call, we will let you know when your timing belt needs to be replaced, we don’t want you to have to endure unnecessary repairs. Who does digital vehicle inspections in Woodinville?